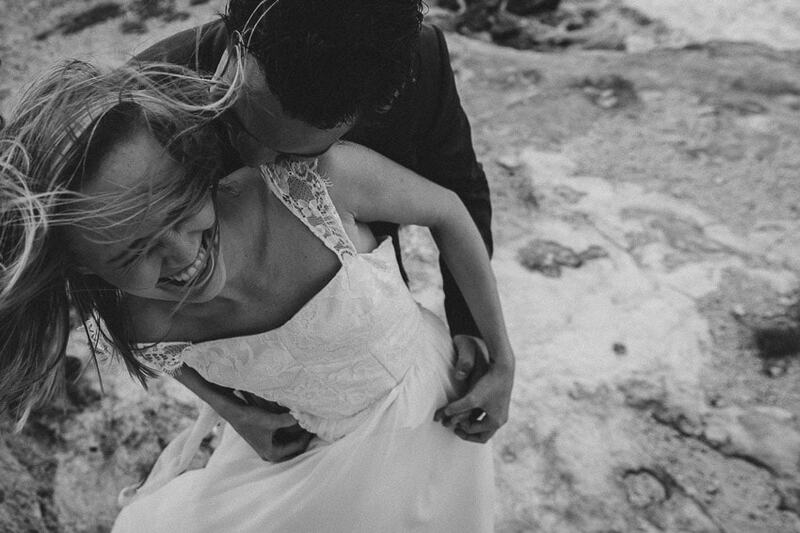 A Polish traveller finds love in Mexico. Julia was not looking for love when she packed her bags for a trip to Mexico; however, Mexico proved to be the adventure of a lifetime. She already spoke Spanish, but once she was in Mexico, the culture absorbed her completely and she decided she could not leave…not just yet. 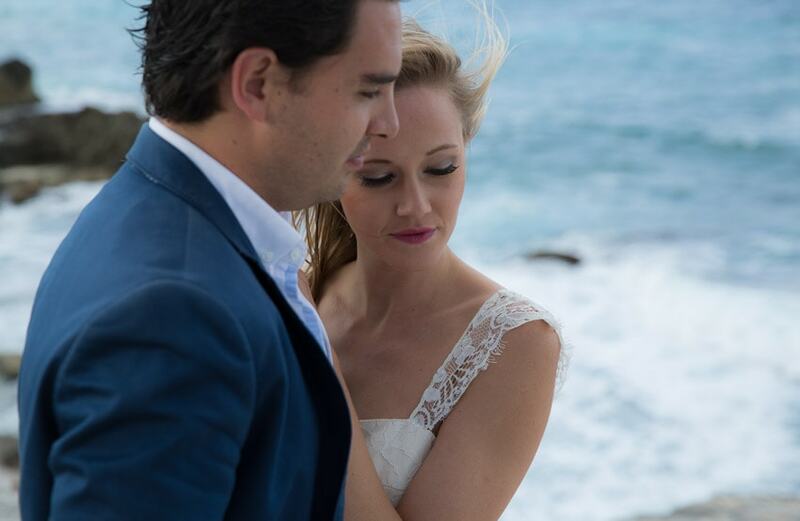 So she stayed, and found herself a job at the Hardrock Café in Cancun…and this is where she met Juanma. One day after work, Julia and Juanma went out after work to dance some salsa, and we hear Julia blew him away with her dancing skills! Shooting these two was such a pleasure. Their love for one another can be felt just from being in their presence. They move together beautifully in a way that complements one another so well. You can see that they are very comfortable with one another. Julia wore a beautiful dress for the photo shoot designed by Maureen Patricia, a Toronto-based wedding dress designer. 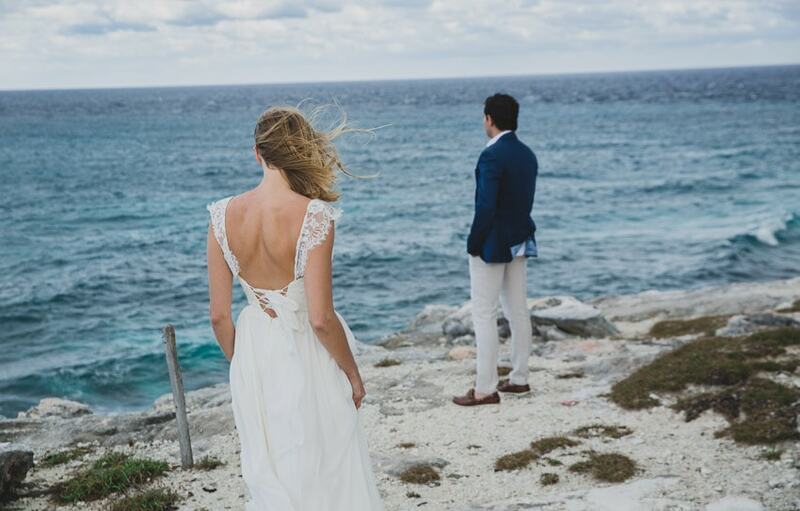 The dress flowed beautifully in the breeze of the island and captured the light perfectly. The shoot was done on the Isla de Muhares, an island 13km off the coast of Cancun. 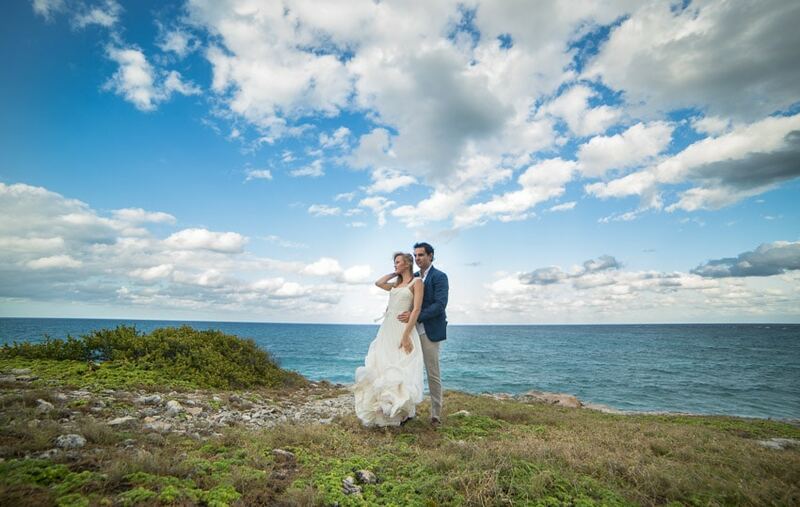 The calm breeze and the Caribbean Sea in the background gave the perfect element of romance for their exceptional love story.